Christ Church, West Wimbledon is one of many churches in the Merton deanery, which is part of the Diocese of Southwark in the Church of England. Wimbledon grew from a village to a town in the 19th century, and to a London suburb during the 20th century. For centuries St Mary's Wimbledon served the village that grew into a town, however today as a London suburb there are a multiplicity of churches in Wimbledon. The Diocese of Southwark is relatively young - it was formed in the early 20th century in part a result of suburban expansion. 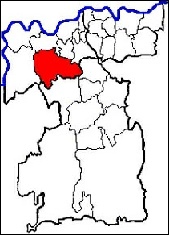 The diocese essentially covers south London and Surrey. Merton deanery (consisting of 18 benefices, 18 parishes and 25 Churches) has some of the richest and the poorest parishes within its boundaries. Below is a list of churches common to the Wimbledon area generally. 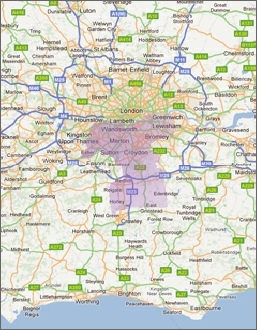 The map shows the location of specific churches local to West Wimbledon (click on a map marker to find its name). Raynes Park and Wimbledon Methodist Church have now relaunched as The Lantern Methodist Church, Wimbledon and The Lantern Methodist Church, Raynes Park. Tel : 020 8946 3181 / 07935 402216. If you are involved in any of the churches below and see that some of these details are out-of-date or incorrect please contact us to advise on any corrections.